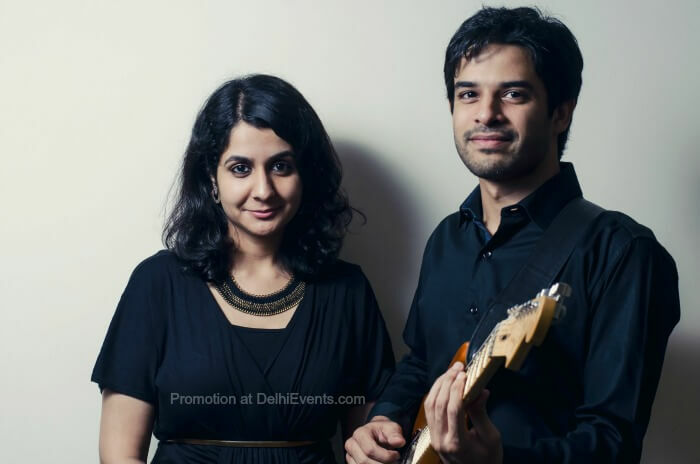 Event Description : Smiti Malik and Adhir Ghosh live. As the weather is setting in and one can feel the nip in the air; Smoke House Deli is introducing live musical nights which will blend perfectly with your meal. Mellow music by Smiti & Adhir, a comfortable setting and the company of your friends is all you need to bring in the weekend. The guitar and voice duo will be performing live this Friday, 30th September at Smoke House Delhi, DLF Promenade, Vasant Kunj. The duo-set features a range of jazz and blues standards, with swing tunes made famous by singers like Ella Fitzgerald, Nina Simone, Billie Holliday, Louis Armstrong and others. We also include contemporary jazz voices like Norah Jones, Madeleine Peyroux and Melody Gardot.